We know that everyone needs their carpets cleaned occasionally. After all, experts recommend a carpet cleaning once a year. That’s because you walk on your carpets every day. If you wear your shoes inside, that’s everything from the streets on your carpets. Plus, if you have kids, you know that they’re messy and prone to spilling things on the carpets. Don’t forget about pets, who shed fur on the carpets in addition to bringing in germs and dirt from the outdoors. There’s a lot that can happen to your carpets to get them dirty. 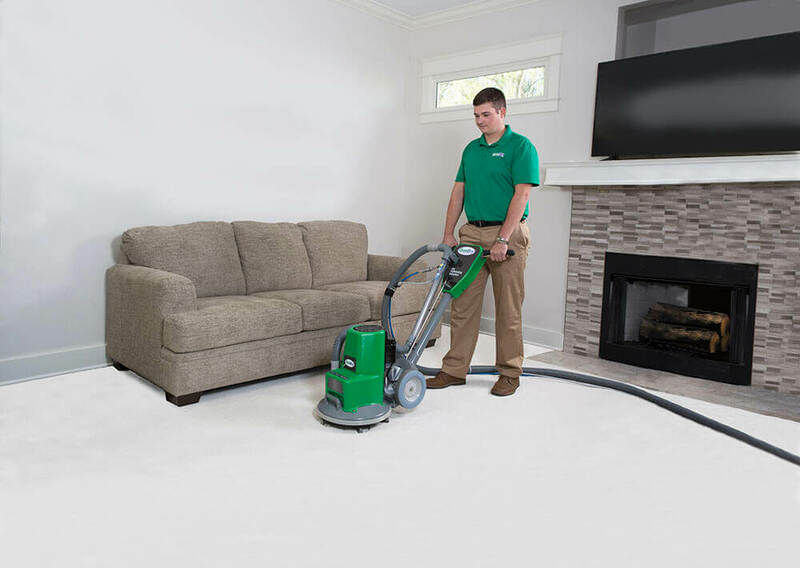 Sure, you vacuum your carpets regularly, but household vacuums just aren’t powerful enough to give your carpets the deep cleaning they really deserve. A professional carpet cleaner like John’s Chem-Dry of Whatcom County in Ferndale, WA is able to get out dirt and stains that your vacuum just can’t. John’s Chem-Dry of Whatcom County is different from the steam cleaners and other carpet cleaning services in Ferndale. We use a revolutionary cleaning process that uses carbonation and natural ingredients to make carpets fresh and clean again. It’s unlike any otehr crpet cleanign method and does a better job at deep cleaning your carpets. Many carpet cleaners in Ferndale just use steam cleaning (in other words, just lots of hot water) to clean your carpets. John’s Chem-Dry, on the other hand, uses carbonation to get your carpet cleaner. The patented Chem-Dry carbonated cleaning system gets our cleaning solution deep into carpet and literally explodes dirt and grime off of the fibers and pushes it all to the surface for extraction. It also means we can remove most carpet stains and odors with a very small amount of moisture. When you Choose John’s Chem-Dry of Whatcom County for your carpet cleaning needs, your carpets will dry in 1-2 hours, rather than the 1-2 days to dry required by some of the other carpet cleaning companies in Ferndale. Why is the use of natural ingredients important? Well, if you wouldn’t add harsh chemicals to Ferndale’s air, lakes, streams or forests, then why would you add them to your carpets? Let’s keep our area of the world clean and non-toxic! Choose the non-toxic cleaner. Unlike other carpet cleaning products, Chem-Dry’s The Natural® contains NO soaps, detergents, surfactants, organic solvents, enzymes, optical brighteners, bleaches, phosphates, petroleum-based materials, thickeners, fragrances, artificial colors, plastics or polymers. This also means that our products are safe around your kids and pets–those who spend the most time on the carpets in the first place. We leave your carpets clean and fresh without soaking them with water and chemicals. Some competitors force water down into your carpet fibers and padding, and although they use suction to remove the water, a large amount remains beneath the carpet. Leaving that much water and cleaning solution below the carpets creates a breeding ground for additional mold and bacteria that isn’t ideal for your family or your home. This residue can also attract more dirt to the carpet fibers in the future, which will require getting your carpets cleaned more frequently. John’s Chem-Dry is devoted to helping you save time and money while receiving a superior carpet cleaning service. Contact us today to experience the ultimate clean! Clean your carpets the right way – with John’s Chem-Dry of Whatcom County. We provide a drier, cleaner and healthier carpet cleaning service that we invite all of Ferndale to experience. Our friendly staff serves Whatcom County, including Everson, Lummi Island, Point Roberts, Sumas, Bellingham, Lynden and Blaine. We also offer upholstery cleaning.